The Arthur Miller Theater Education Program was launched in partnership with the Office of Arts & Special Projects at the New York City Department of Education in 2015, supporting 15 theater teachers. 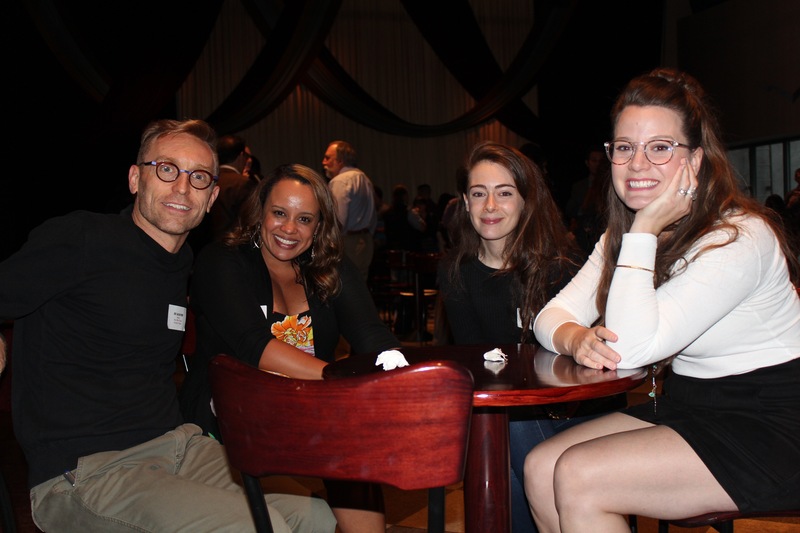 The program provides mentorship, cultural partner residencies, professional development and classroom resources for new certified theater teachers named Arthur Miller Fellows. It also provides tickets for Fellows and their students to attend Broadway shows & other high-quality theater performances. The idea is simple: provide theater teachers with the resources they need to succeed in their earliest years, so that theater programs will sustain and grow. Now entering its third year, the Arthur Miller Theater Education Program has expanded to 40 teachers in 40 schools throughout all 5 boroughs of NYC, impacting over 15,000 students. The incoming cohort of Fellows for the 2017-2018 school year has had its three-year tenure in the program underwritten by the John Gore Organization & Broadway.com.  The Arthur Miller Foundation is also entering the second year of the Arthur Miller Foundation Scholars Program, which provides scholarships for graduate coursework to NYC public school teachers interested in earning their theater certification. Scholarship recipients are named Arthur Miller Scholars. This unique seed-funding will increase the number of theater teachers in public schools, thereby broadening the reach of theater education for NYC students. 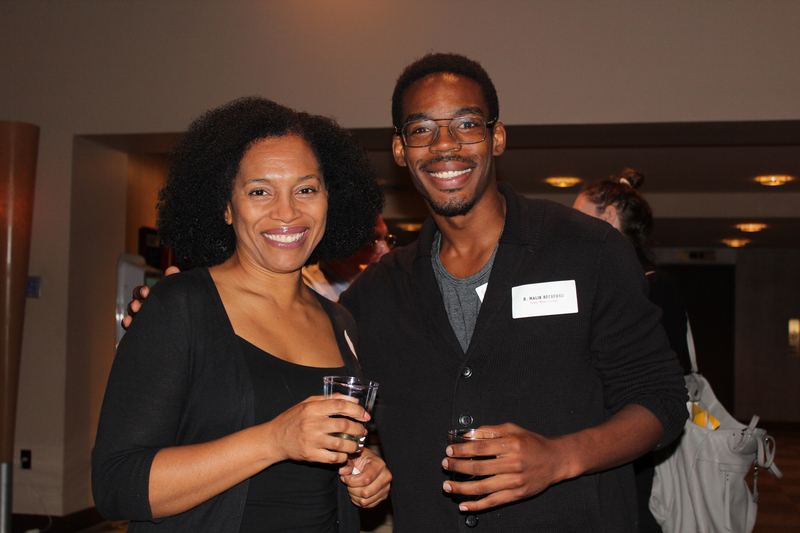 On Tuesday, October 3, the Roundabout Theater Company provided the Penthouse Lobby in the American Airlines Theatre for a kick-off reception to celebrate Scholars, the new cohort of Year 1 Fellows, and the returning cohorts of Year 2 and Year 3 Fellows. 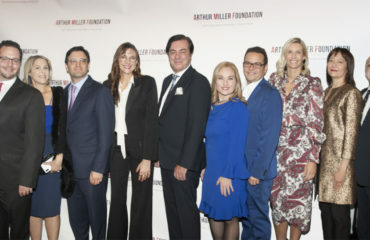 The event was also attended by leadership from the NYC DOE Office of Arts & Special Projects, Arthur Miller Foundation leadership and board members, school principals, Arthur Miller Theater Education Program mentors, cultural partners, and some of the Arthur Miller Foundation’s most dedicated sponsors, including representatives from the John Gore Organization and the Hasty Pudding Institute of 1770. 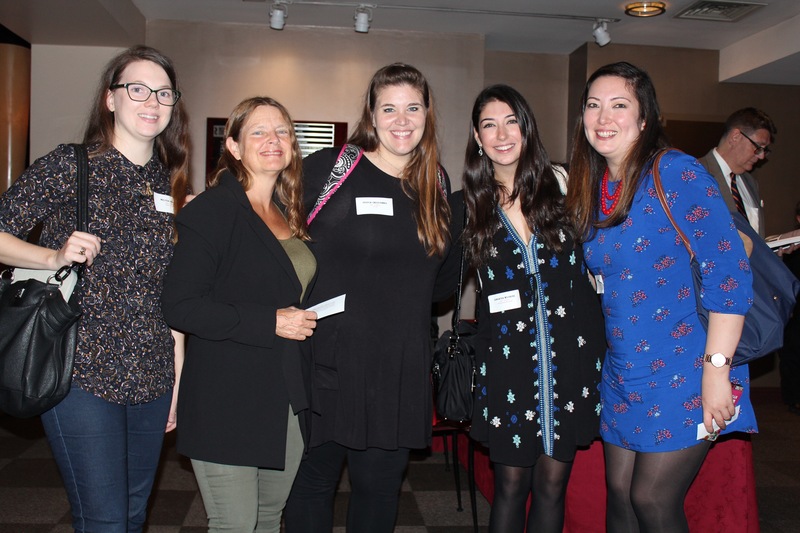 Following the reception, the Arthur Miller Foundation brought Fellows, Mentors and Scholars to a performance of Roundabout Theatre Company’s Time and the Conways by J.B. Priestly, directed by Tony award winner, Rebecca Taichman. What was once the seedling of an idea just a few short years ago is now a robust program that is part of the greater arts education movement. 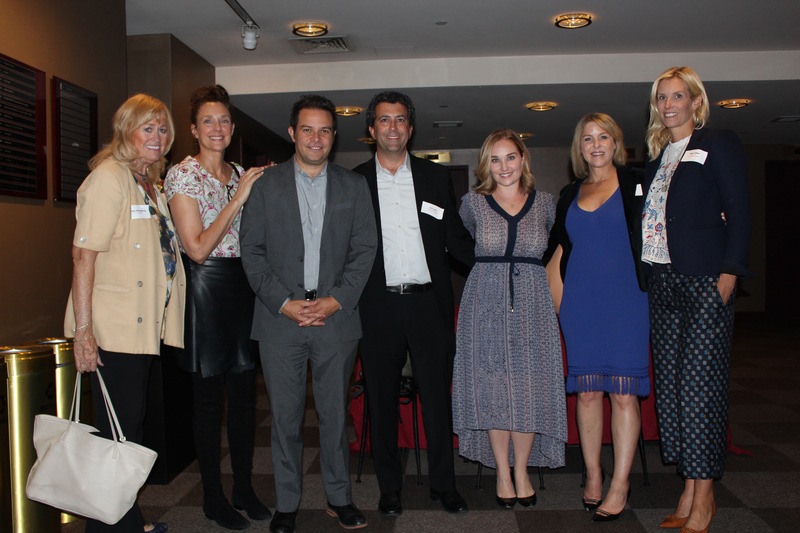 The evening’s energy was palpable, as everyone was joined together in support of the same end goal: to transform lives through the power of theater education. 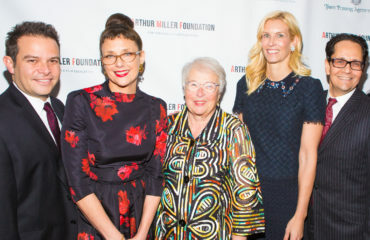 The Arthur Miller Foundation is especially grateful to Carmen Fariña– New York City Schools Chancellor, Paul King– Executive Director of the NYC DOE Arts Office, Peter Avery– Director of Theater, NYC DOE Arts Office, and Daryl Embry– Arthur Miller Theater Education Program Coordinator, for championing the need for public arts education and making the Arthur Miller Theater Education Program and Arthur Miller Foundation Scholars Program a reality.